Make your own glow in the dark fairy buttons with these fun kits! Each kit has everything needed to make 12 glowing buttons, eight with pins and four with elastic to wear as hair bands. A fun arts and crafts kit kids will love! Part of the 4M range - a well established brand of educational, imaginative and creative toys. ; Make your own glow in the dark fairy buttons with these fun kits! Part of the 4M range - a well established brand of educational, imaginative and creative toys. ; Make your own glow in the dark fairy buttons with these fun kits! 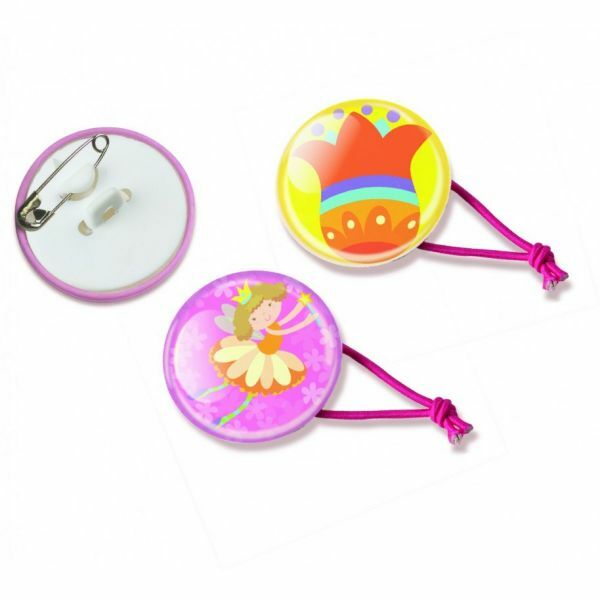 ; Each kit has everything needed to make 12 glowing buttons, eight with pins and four with elastic to wear as hair bands. ; Glows in the dark! ; A fun arts and crafts kit kids will love! ; Part of the 4M range - a well established brand of educational, imaginative and creative toys.